May 29, 2014, Thursday – mark this day in your calendar! 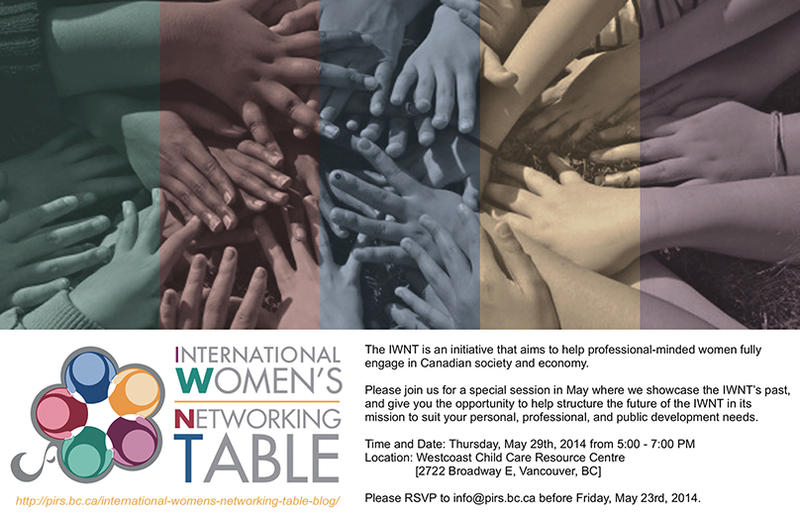 IWNT is holding a special session from 5:00 – 7:00 pm at Westcoast Child Care Resource Centre (2722 Broadway E, Vancouver, BC). I’m interested in participating this session to improve my information about this project. Please do join us on Thursday, you’re most than welcome. Hope to see you there.